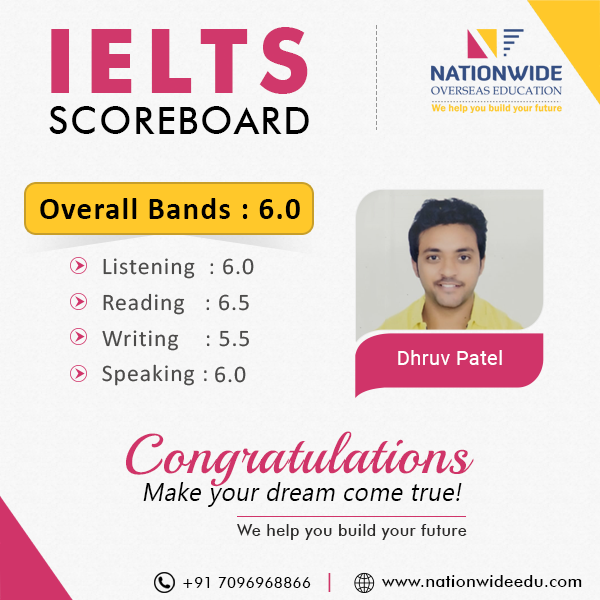 Congratulations to Dhruv Patel for scoring overall 6.0 band in IELTS exam. 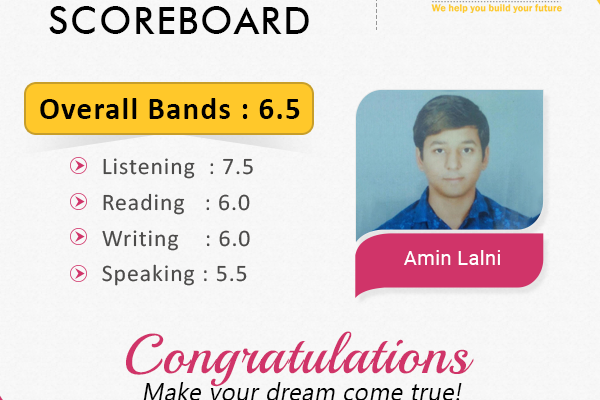 We feel so proud that he got his desire score and it was our pleasure to guide student like him. 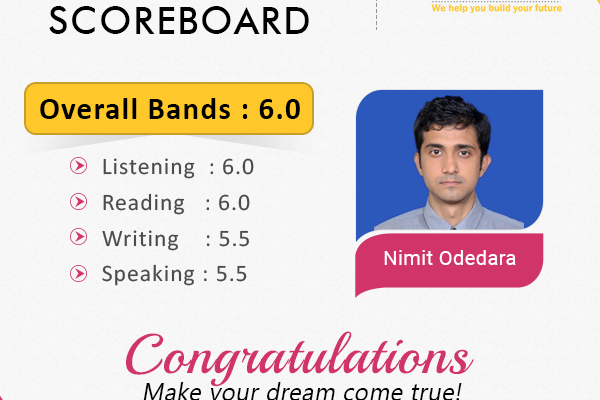 We wish many of the successes for him in his life. 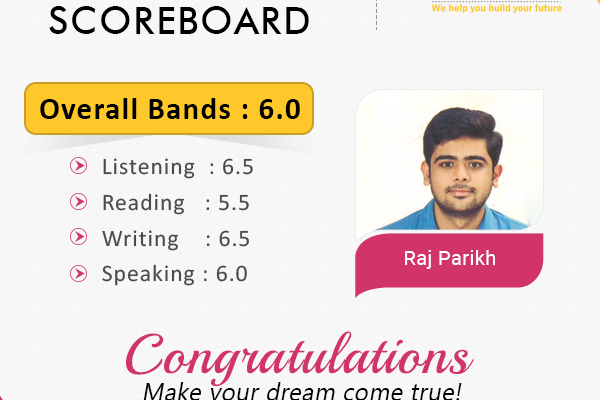 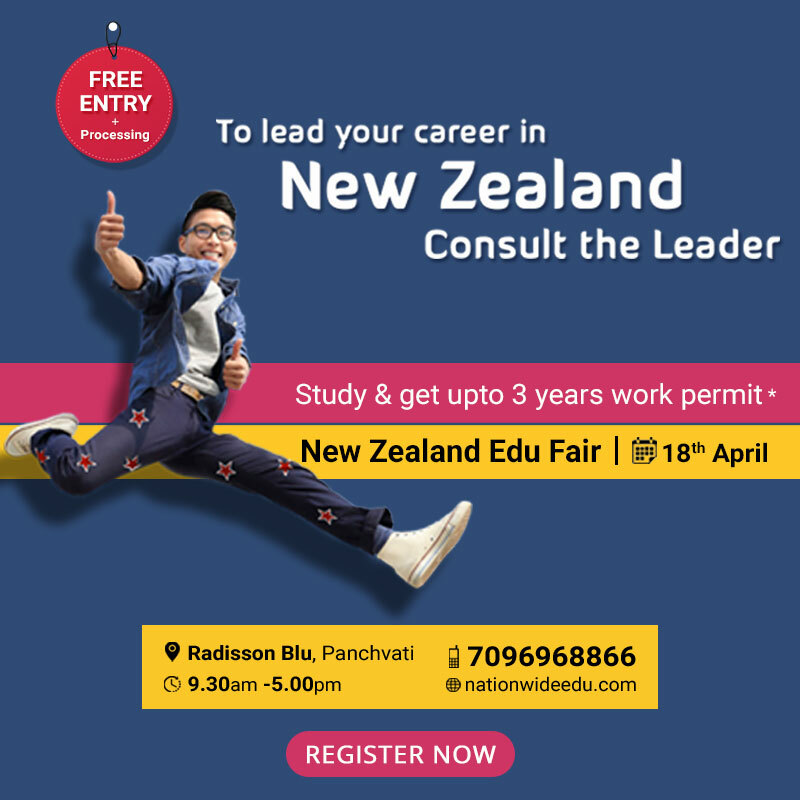 Join our IELTS coaching in Ahmedabad and get your desired score in test.